Our Life in Montana: Scarface and Spring! This is happening out back. Who knows what is bothering Scarface. Perhaps it's his double ACL injuries? The fact that he can't chase the squirrels or cats properly? That I won't throw his ball more than two feet away for him? Maybe the sun isn't warm enough? (It will be today; 75 is the projected high). Or that I have things I want to do and won't pet him 24/7? If only I could read his mind. Oh Scarface! I thought he was just saying hi to spring. 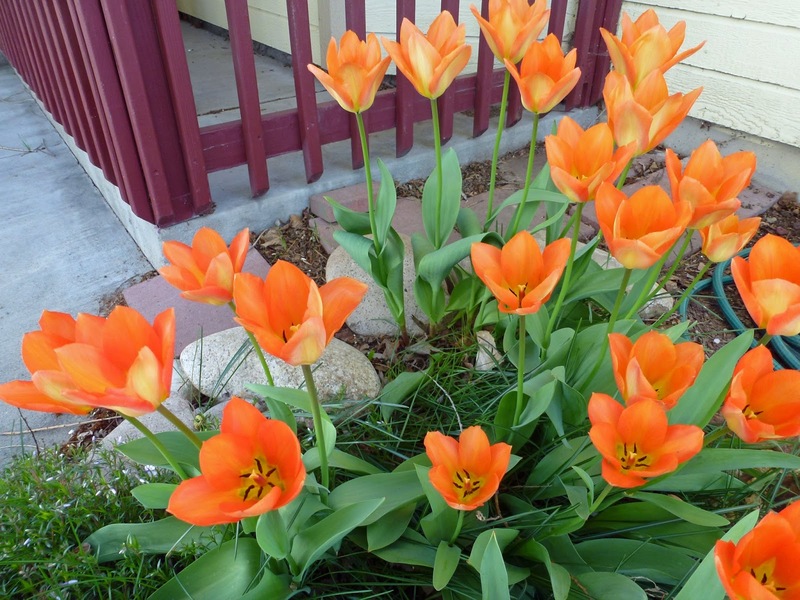 What are the little flowers planted around your tulips that are coming up in the second photo? is that a low lying phlox? Darla the Adventure Dog is kinda gimpy too; she's on medications to try and resolve it. Probably just age, and going from being pretty sedentary to pretty active almost over night. It doesn't slow her down much out at the river, though. 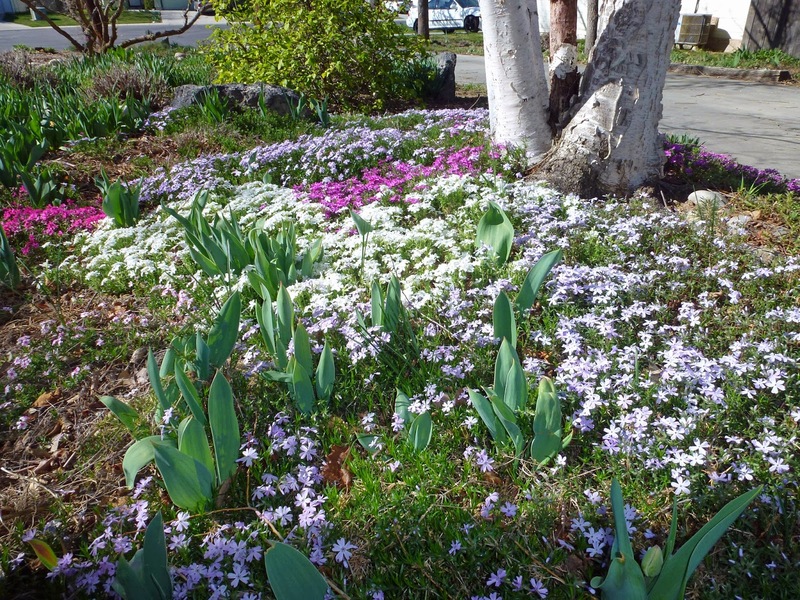 Wow ~ your front garden is spectacular Victoria! It looks like your garden is further along than mine ~ I think we've both been warmer than normal! Enjoy the nice temps & I hope Scarface feels better soon. It is the beginning of Autumn here in Auckland. I do miss the lovely Boise Spring. I will just have to savor it vicariously through your blog. Sending warmest wishes to you both! Peut-être est-ce une manifestation d'admiration devant ces parterres de belles fleurs ? Howling in such warm, sunny weather? Scarface has nothing to complain about! LOL We are just starting to get a bit of mild weather here. Your garden looks just beautiful. Can't wait until we see a few spring flowers here. My daughter stationed in the other room could hear Scarface from my laptop. She kept saying what is that? I told her to come listen. We both decided that he's singing because it's spring. 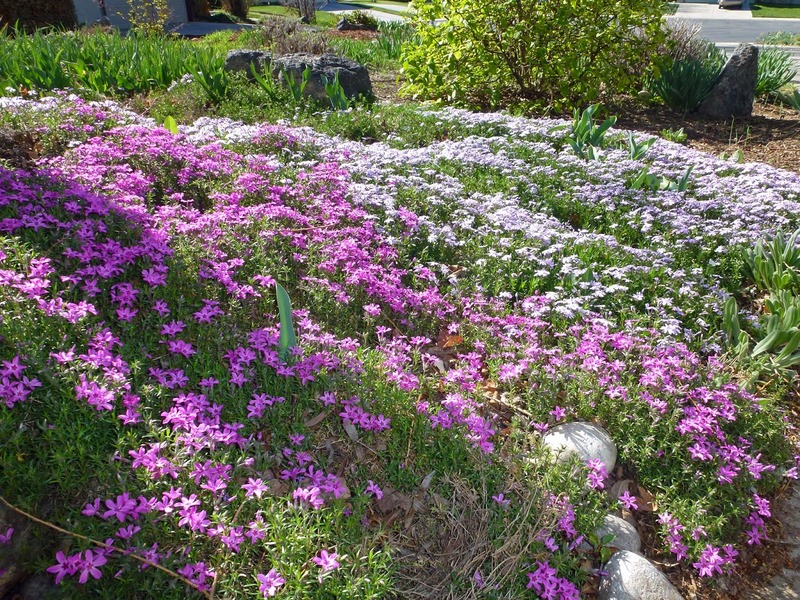 The phlox is outstanding!